From Tony Hsieh to Amy Chua to Jeremy Lin, Chinese Americans are now arriving at the highest levels of American business, civic life, and culture. But what makes this story of immigrant ascent unique is that Chinese Americans are emerging at just the same moment when China has emerged - and indeed may displace America - at the center of the global scene. What does it mean to be Chinese American in this moment? And how does exploring that question alter our notions of just what an American is and will be? In many ways, Chinese Americans today are exemplars of the American Dream: during a crowded century and a half, this community has gone from indentured servitude, second-class status and outright exclusion to economic and social integration and achievement. 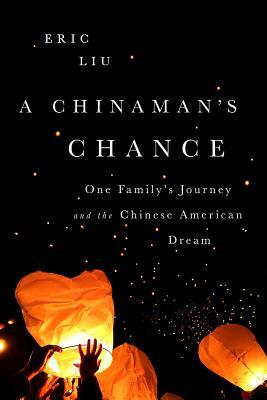 But this narrative obscures too much: the Chinese Americans still left behind, the erosion of the American Dream in general, the emergence--perhaps--of a Chinese Dream, and how other Americans will look at their countrymen of Chinese descent if China and America ever become adversaries. As Chinese Americans reconcile competing beliefs about what constitutes success, virtue, power, and purpose, they hold a mirror up to their country in a time of deep flux. In searching, often personal essays that range from the meaning of Confucius to the role of Chinese Americans in shaping how we read the Constitution to why he hates the hyphen in "Chinese-American," Eric Liu pieces together a sense of the Chinese American identity in these auspicious years for both countries. He considers his own public career in American media and government; his daughter's efforts to hold and release aspects of her Chinese inheritance; and the still-recent history that made anyone Chinese in America seem foreign and disloyal until proven otherwise. Provocative, often playful but always thoughtful, Liu breaks down his vast subject into bite-sized chunks, along the way providing insights into universal matters: identity, nationalism, family, and more. Eric Liu is founder and CEO of Citizen University. His books include The Accidental Asian, a New York Times Notable Book; Guiding Lights, the official book of National Mentoring Month; and The Gardens of Democracy (coauthored with Nick Hanauer). Eric served as a White House speechwriter and policy adviser for President Bill Clinton. He is a correspondent for the Atlantic and a columnist for CNN.com and lives in Seattle with his family. Follow him on Twitter @ericpliu.